If you have 2 or more PST files in Microsoft Outlook and want to merge pst files but you do not know how to combine PST files into one in Outlook 2016, 2013, 2010, 2007 and earlier vesrions, then the best solution to consolidate multiple Outlook PST files into a single file using PST file merge tool. This application is an alternative avenue of old-fashioned manual activity of adding PST files in Outlook one by one. What PST Merge Tool can do? Merge PST files with Outlook Items: Emails, Calendars, Contacts, Notes, etc. 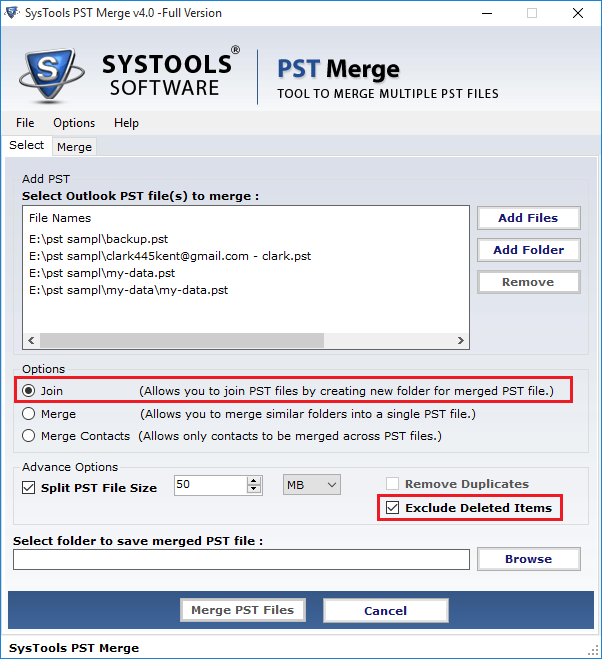 PST merge tool permits you to combine two or more Outlook data files by generating new folder for the output PST file. Join PST option helps you in adding all files into an individual file having information of merged PST files in a respective new folder. PST Merger free permits you to join all the similar folders from multiple Outlook files like; inbox, sent items, drafts, contacts, calendars, notes, tasks, journals and to-do list into a UNICODE PST file. 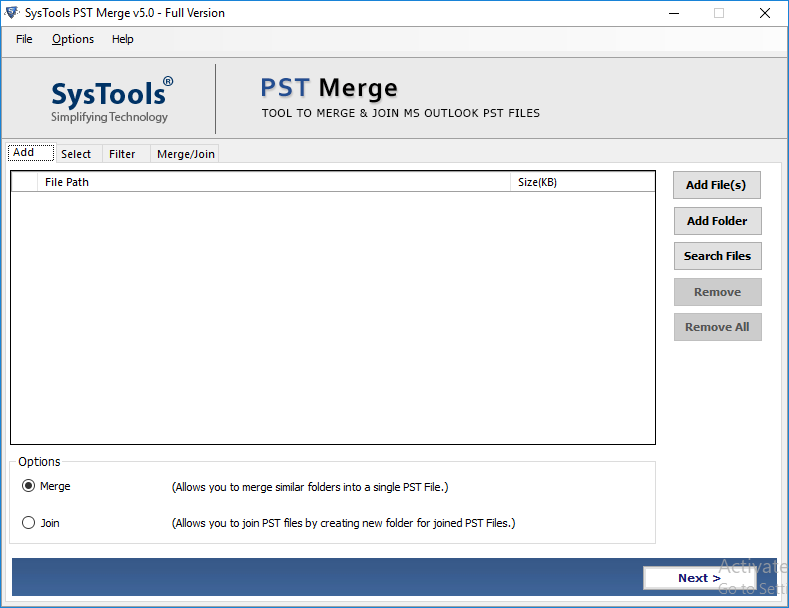 PST file merge tool provides an option to particularly merge all contact folders of multiple Outlook PST files into one. All meta properties like: name, company name, email address, group, contact number, notes etc., are kept intact throughout the merge Outlook contacts from PST files process. 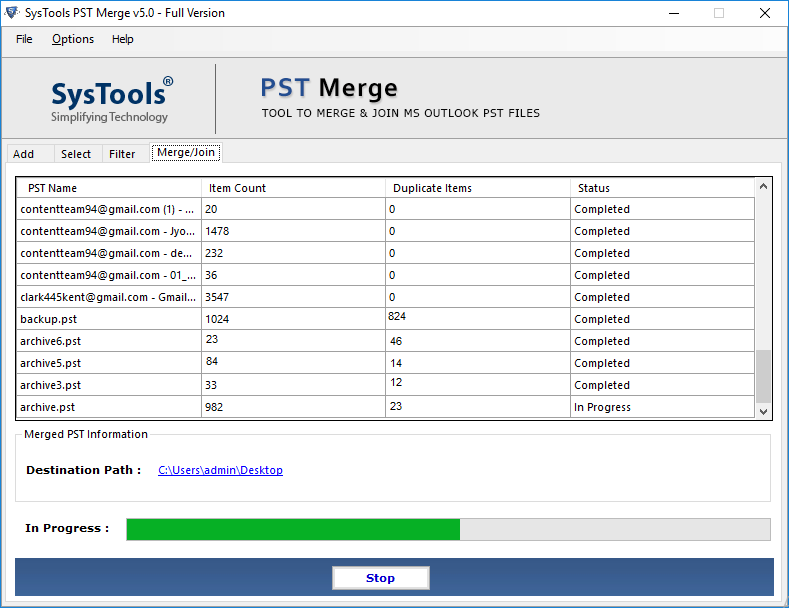 PST Merge tool allows you to join a number of Outlook files together and simultaneously removes duplicate items; if any. You need to check and uncheck the Remove Duplicates option to enable / disable removal of Outlook duplicates respectively. Merge Outlook Folders – A salient feature that allows combining similar types of folders. To combine multiple Outlook PST files into a single file, you don't need to add each PST one by one. As PST merger provides an Add Folder option that helps in including multiple files at once to allow bulk PST file merging. On the other hand, the Add Files option adds one PST file at a time to merge PST file data. "Exclude Deleted Items" to annihilate the items from the "Deleted Items"
While combining Outlook PST files, if you don't want to merge Outlook folders like; deleted items, sent items, etc. ; then check the exclude deleted item folder check box. 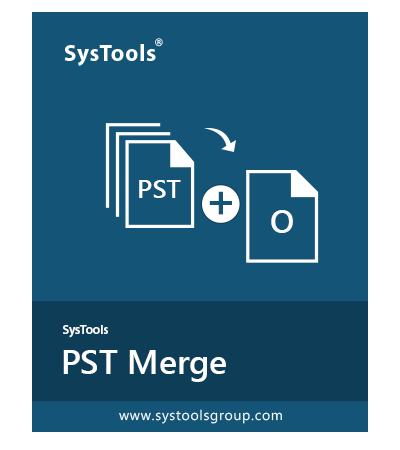 The PST file Merge tool will not merge items from the selected folder, which will minimize the time consumed in merging PST files. As the merging process starts, the PST Merge tool will show a status of the merged PST files. After its completion, the PST combiner generates a report displaying details like: number of PST files, total item count, name of file, duplicate items found, and merge PST files status. Also, it shows the merged file name, location, and duplicates that can further be saved as a CSV file. After combining PST (personal folder) files, you can restore it on your machine at a desired location. Also, you can create a New Folder from PST file merger free tool panel and save combined file into that folder. Software will restore the merged Outlook data file with default name as; 'Outlook.pst'. Does PST Merge Tool works if Outlook is open or running? The thing which matter most is that your Outlook Data File should not be in used while running PST file merge tool. Keep in mind also that Outlook installation is required to merge PST files using PST merger. "Join" and "Merge" seem to be two similar options or maybe I am not able to understand how these options work on PST File in differently. Let me clear out these both options: Join & Merge. 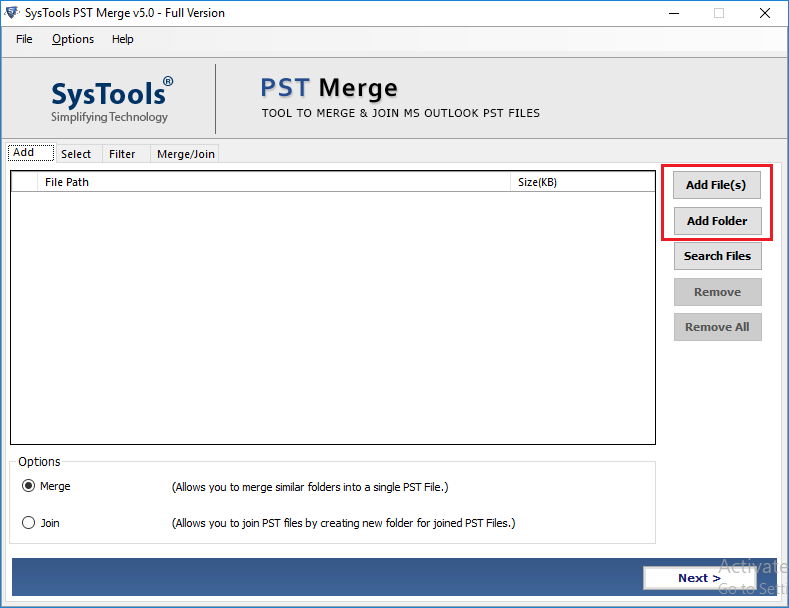 Join: When you deploy "Join" option to combine Outlook files, PST merge tool creates single PST file as a resultant PST file and then move PST files one by one in their respective folder with having tag like this: "Personal Folder". Numbers of these folders depend upon the number of Outlook Data Files. 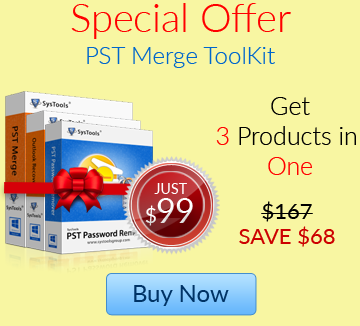 Merge: This option merge PST files in a quite different manner. Fundamentally, it is also aimed to combine PST files but whilst this option Outlook does not create personal folder for each PST file. It appends data of several default folders (Inbox, Sent, Draft, etc.) of PST files in a one folder. What does this "Remove Duplicates" option do? This option is meant very handy, in particular, to deal with duplicate Outlook entries. Just enable it and you will not get any duplicated Outlook emails or other item in resultant PST file. What type of data file PST merge tool generates after merging, ANSI & UNICODE? UNICODE, as all the current versions of Microsoft Outlook support this optimized version of PST file. Can I save the resultant PST file at a desired location in the machine? Obviously, you can. Just allocate the location in your machine where you wish to save merged Outlook Data File. Is there any limits on numbers to merge Outlook PST file? There is no any limit on numbers of Outlook PST Files to merge. Add PST file as you have and start combining them. Any specific reason why PST file Merge tool does not do the trick? Is your PST file corrupted? If the software is behaving oddly, then there can be chances that your PST file is in danger parameter of corruption and PST Merge tool is not feeble to fright corruption. All you need to do is repair the PST file using "Outlook Recovery Software" first and then you will be able to merge then definitely. PST merge tool is the best solution to merge Outlook data file of any size, so I will recommend PST file merge tool to combine multiple Outlook PST files to all my friends and colleagues. Thanks guys for this helpful creation. I wanted to consolidate multiple PST files into one which is not an easy task. Finally my friend jack tells me about PST file merge tool helped me to combine multiple Outlook data files into single PST. Effective and easy user interface is highly impressing me. I appreciate team for such creation.